Many students simply use the subject reading guide to keep track of their readings for the semester. While this is a simple and effective way of managing readings, it is also easy to lose track of what readings you need to catch up on – especially when lectures start to fall behind schedule. Therefore, you may wish to use your computer to keep an eye on which readings you have read, taken detailed notes on, and incorporated into your exam notes. Preparation for this can begin before the start of semester. Later in the semester it is very useful to know exactly which readings you have missed or not taken notes on. It is also a good idea to use this system to keep track of your assessments – when they are due, and what steps need to be taken towards completing them. Fortunately, the process is quite simple, and can be done using Excel, Google Drive or Trello. A spreadsheet with a semester’s worth of readings will look something like this. 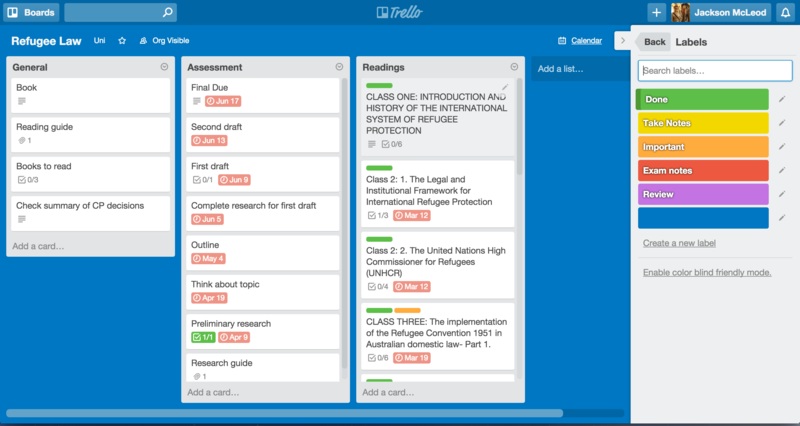 A Trello board for each subject will look something like this. 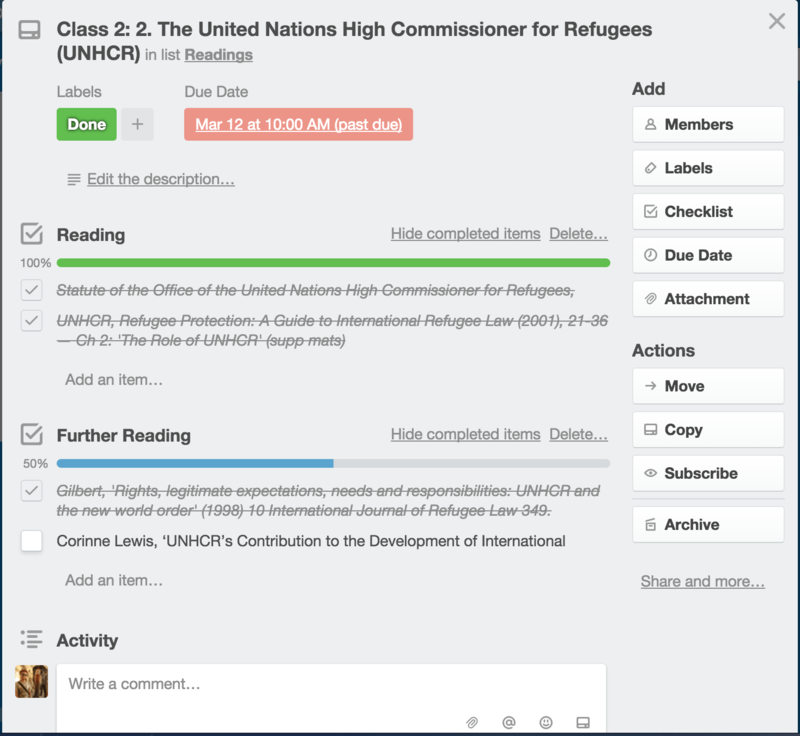 Clicking on any of the ‘cards’ on the subject board will open up this view, which contains a range of options.